Our range of hydraulic press includes closed frame press, C - type press, four pillar press, hot press and others. These hydraulic presses can be used for various purposes such as pressing, bending, straightening, punching, moulding etc. Available in various capacities, these presses are provided with programmable logic control systems and digital read out facility. We can also offer these presses in specific configurations as required by the clients. 300 ton hot press manufactured by our company is designed in strict accordance with international standards and is identified with superior quality. The hot press is suited for wide array of engineering applications and can be tailored according to customer’s needs. The presses are used for straightening, drawing, assembling, bending, punching, riveting and molding. It can also be used for other high temperature operations. Temperature control system of this machine ensures high accuracy and precision. 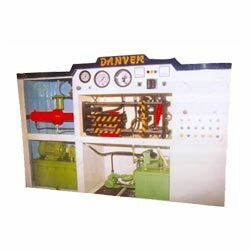 We manufacture a wide range of Industrial Hydraulic Press that are manufactured using state-of-the-art technology and latest machines. These are fabricated with quality raw material which is sourced from reliable vendors. They are incomparably different from others because of sturdy construction comprising high quality upper and lower tables which promise precision bending. Our organization has gained recognition as an affluent manufacturer and supplier of Hydraulic Presses . These are fabricated using best quality components under the guidance of skilled professionals and latest technology to ensure its smooth function and maximum output. Excellent performance, sturdy construction, corrosion resistance, low running cost and durability, these are highly demanded in the market. 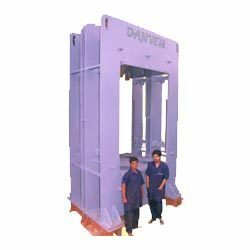 The Hydraulic Presses are offered in different specifications as per the application requirements of the clients. Hot press developed for direct formation of components from green wood, plastic polymeric substances under temperature and pressure. Hot Press inserted in to the platen, with temperature controller, fume extraction system with loading unloading system. 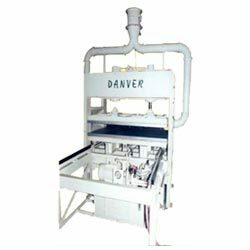 Danver has developed four pillar hydraulic presses for various applications like blanking, embossing, moulding, punching, deep drawing, coining, forming, fibre glass industry and general other applications. These can be operated either manually or with push buttons. 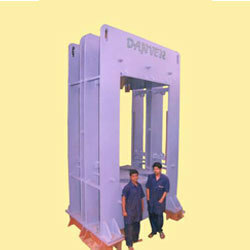 These moulding presses are applicable for compression / transfer. This has a capacity range upto 600 tons. 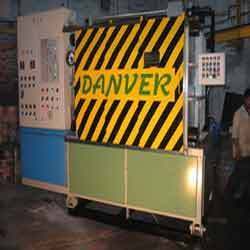 Danver is the pioneer in design and manufacturing of various types of rubber moulding press, with single and multiple daylight. 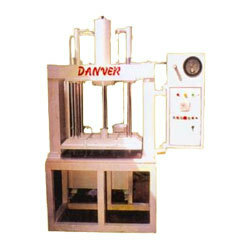 These closed frame presses are generally used for moulding of various rubber components. 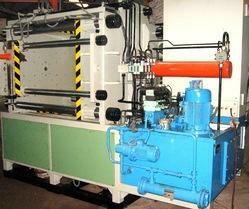 These moulding presses are applicable for compression / transfer moulding. It has a range up to 1000 tones with programmable logic control system with digital read out facility. We offer our clients hydraulic mechanism for applying a large lifting or compressive force. 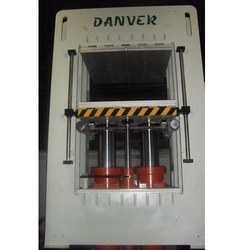 Commonly used for hydro-forming, these hydraulic presses are industrially verified and designed as per the standards, meeting the clients requirement. We present our clients with a durable gamut of contact heaters that is very popular among our wide base of clients owing to its superior thermal conductivity. Possessing all the native qualities, our contact heaters stand apart in the competitive market because of its efficiency and ease of operation. We have in store for our clients, wide range of precision engineered pressure testing machines that are extensively used in various industries. 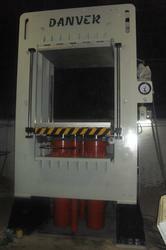 We undertake customized orders for these pressure testing machines to suit the variegated requirements of clients. 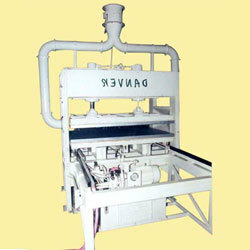 We offer an APG machine.These machines can be customized as per client requirements. C-type presses can be used in various applications like pressing, bending, straightening, punching, broaching, riveting etc. 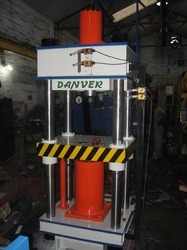 Danver has supplied no of such presses to various industries. This is available up to 100 ton capacity. Our extensive collection of pressure structures are fabricated to be heavy duty and high performing to be used in industrial processes. Built using premium quality raw material, these pressure structures are durable and corrosion resistant. 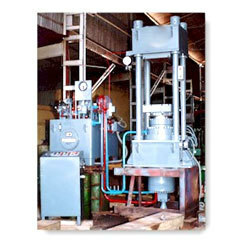 Looking for Hydraulic Press & Special Purpose Machine ?